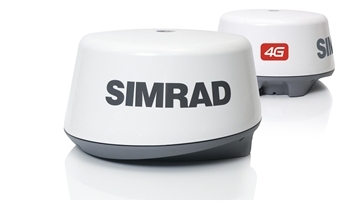 Simrad Broadband 4G Radar | The GPS Store, Inc. 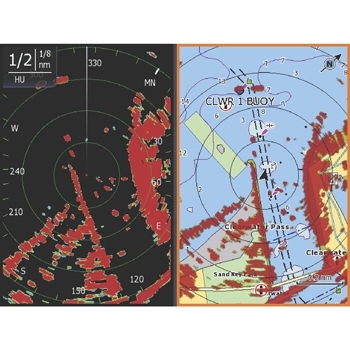 The Simrad Broadband 4G Radar is a highly sensitive, solid state radar for unsurpassed clarity, detection, and separation of targets at close and long ranges. With instant on and a significantly lower power draw, the Simrad 4G radar makes for an ideal radar unit for sailboats, smaller center consoles, or any other vessels with limited on board power. Broadband radar technology uses a dedicated solid state transmitter and receiver inside the radome to be continually transmitting and listening for different frequency wave lengths for object identification; making the Broadband 4G Radar much safer for use and mounting locations than conventional microwave, pulsed based radars of the past. The use of 2 antennas and continuous wavelength measurement, instead of time based, makes broadband radar produce unparalleled close range performance down to 200 ft. with no dead zone around the vessel while still delivering a range of up to 36 NM. 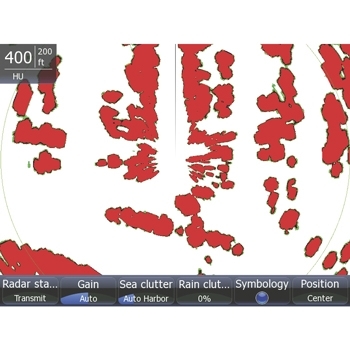 With the easy addition of the Simrad Broadband 4G Radar to a Simrad network unit, this new radar technology is ideal for the casual user, smaller vessel, or anyone wanting to see clearly in foggy, rainy, or tight conditions. Combined with a NMEA heading sensor, the Broadband 4G radar can be overlaid on the charting screen for pinpointing your position in low visibility moments. Dome Size: Height 11", Diameter 19.2"
Maximum range 36 nautical miles. Low power consumption, perfect for small boats and sail boats. Compatible with Simrad NSE and NSS network units. Plug-and-play interface through Simrad ethernet cable.